I had another chance to model for my friend Melissa. This time the project was a catalog spread, so she picked out some of her favorite outfits from my blog and I modeled them for her. Check out some more of her photography here. where do you find all of this amazing stuff I can't believe how cheap it all is! Great photos! Love your blog. Absolutely love the leg warmers and boots!!! i really like all the looks, are amazing! The double ring with the cross is so fashionable nowadays, love it! cool post! very cute looks! love the styling and the accessories are sooo stylish! Fabulous! I love the combination of textures and colour in the outfits. I have to admit, your gorgeous blog name was what brought me over! Gorgeous pics! 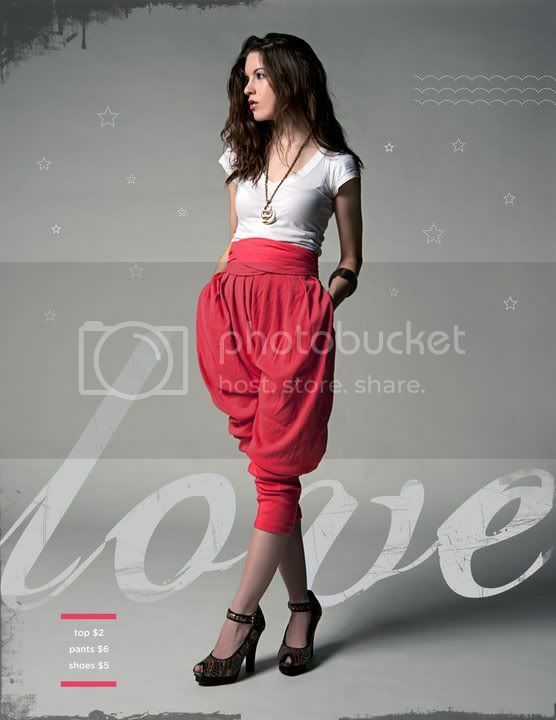 I love the pink puffy pants, and all of the jewelry! nice pictures. love the jewelry!! wow, I love them all! The green/blue dress in the first one is my favorite! Wow! This really does look like a catalogue! Wow! Those photos look amazing, and the wardrobe in every look is awesome! 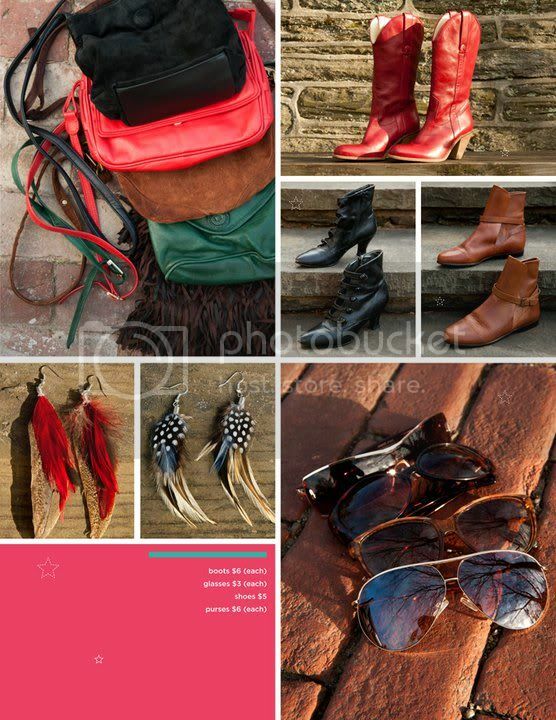 I love that page of accessories, they all look so brilliant! Love your post! Consider me a follower! amazing!!! I invite you to visit my blog: www.patlost.blogspot.com and happy new year!!!! beautiful blog!! happy new year! If u want came on my blog and give a comment. Do u want to became a followers? Thank you on your comment on our glam rock bracelet by Barbara Campbell! We love your style and would love to have you be a guest blogger at http://barbaracampbellaccessories.blogspot.com Let us know if you would be interested? Oh...you're so pretty and so lucky for doing this!!! And i really like your blog,which i just found and of course i'm following you!!! I'd love it you'd follow me too!!! 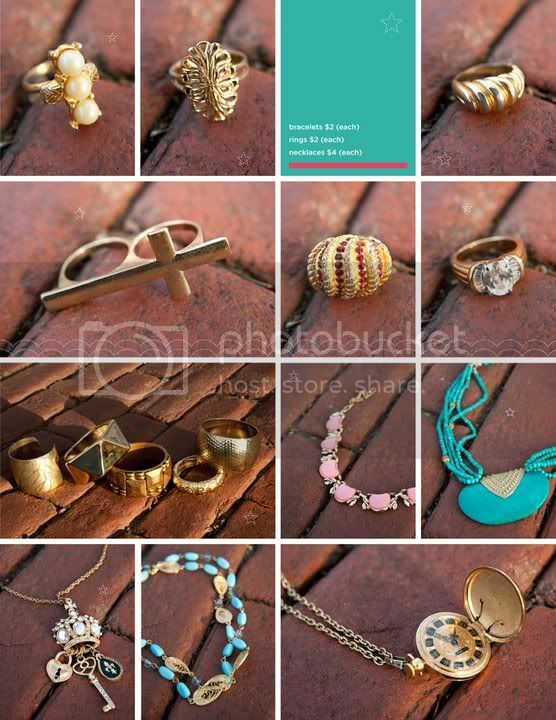 Great Pictures, loving the jewerly, of course the prices. Great variation to the Lacoste look of the leg warmers with boots. they showed them with leg warmer over the boots .... nice looks here. You are welcome to visit my blog too :)) Kisses! !